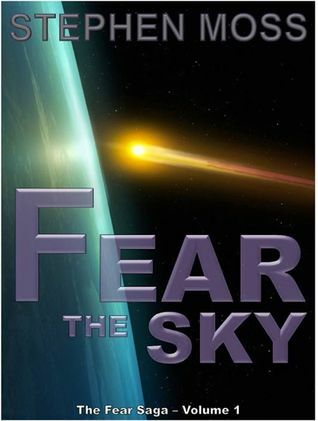 The Fear saga reminds me a lot of the three-body-problem/ remembrance of the earth’s past. There’s an alien invasion coming and we know it- how do we prepare? How can we live with ourselves and what happens? The key difference is that in the Fear Saga, the aliens are much closer, they only need another 11 years to reach us, and they’ve send 8 agents and four satellites as vanguard whose main mission is to make sure we don’t destroy our planet – because it’s the planet the aliens want, and it wouldn’t do if it was destroyed. I’m in the second book right now- Fear the Survivors, and i do like it. There’s one thing i kind of dislike- in this book, but i’ve noticed it in other books and genres, as well: it’s like the author is hoping to get the novels picked up as a movie. Action sequences are told in a way that reminds me strongly of, well…screenplays, actually. But it’s not too bad and up until now, the story seems fine. The other thing bothering me with the scifi series i’ve read/listened to so far, with one exception (more on that later), is that they venture off in strange territory. Technology, abilities, everything seems to become more and more far-fetched the longer the series go on. Now, i’m not a very experienced sf reader (taking my first steps into the genre), but this reminds me of a deus-ex-machina problem: we’re facing long odds, and to make do, there needs to be some almost magical progress. Anyhow, i’m enjoying listening to this. The narrator does a very good job, as well. I thought i’d never heard of Joe R. Lansdale before i began watching Hap and Leonard on Amazon, a series that i think is underrated on imdb. I liked it a lot and began researching books of this author. 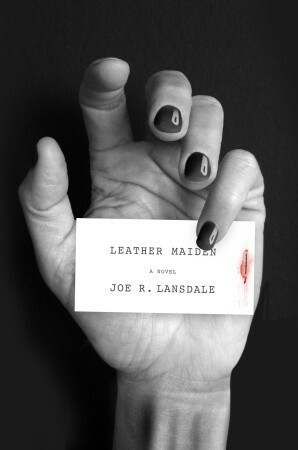 After giving it some thought, i bought Leather Maiden. I can’t tell you much about it, as i’ve just begun reading it – on paper form, and as i said, i don’t spend much time anymore on reading books, unfortunately. So far, i like it, though. It also dawned on me that i knew the author- a couple of months back, i researched novels taking place in the “southern US”, and many of Lansdale’s novels turned up us recommendations. So i’m looking forward to reading more from this author, and also hopefully a season 2 of the series. On to the Fantasy genre. 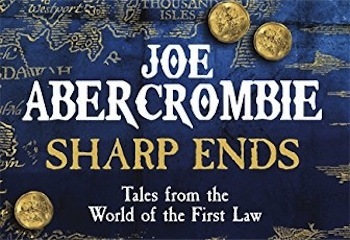 There’s one author, strangely still somewhat unknown, whose books i tend to anticipate and sometimes even pre-order: Joe Abercrombie, Lord Grimdark himself. After reading his First Law series, i fell for him. It was a hard sell, actually, since at first glance, it’s very much cliché: a magician, a noble warrior, a barbarian and a warrior woman go out to find some mystical artifact somewhere out in the world. At first, it seems as if the cliché is strong in the series, but at around the half, Joe Abercrombie begins to disassemble it- piece by piece. Add some sarcastic humour into the mix, characters that have their own- often less than noble- motivations to do what they do, and you have a winner. At some point, Abercrombie managed to pass my up-to-then favourite fantasy author: GRRM. It’s because Abercrombie doesn’t dabble or waste time- after the trilogy, he wrote several stand-alone novels in the same world, in a rhythm of one novel every 1 or 2 years, all the while maintaining the high quality of writing, pace, humour and…well, grimdarkiness. However, i didn’t read his YA series, because for some reason, i don’t like YA novels. I’m sure it’s still great, possibly still grimdark, but i haven’t read it. A couple of days ago i looked what he was up to- and behold, there’s a compilation of short stories set in the world of the First Law. I’ve only read the first one by now, but already Abercrombie made me laugh out loud while reading. Joe Abercrombie is a must-buy, and if you’ve never heard of him or read any of his work, i strongly advise you to go ahead and read the first book of the First Law trilogy. And do yourself a favour and finish the trilogy, however generic it might seem at first. This one you might know. It’s a space opera written by two authors- Daniel Abraham, who’s also writing a great fantasy series, and Ty Frank, ex-assistant of GRRM himself. There’s also a SyFy series by now- i haven’t seen it yet, as it seems to be unavailable in germany (could go for imports, though), but the book series is great stuff. It’s difficult to give a plot. While there is an overarching story, each novel could also stand on its own- i guess it’s more about the crew here, and as such it reminds me of Firefly. 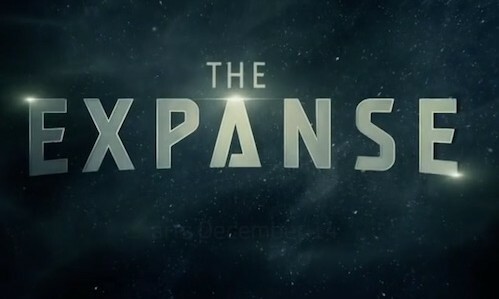 As i’ve made my first steps into the SF-genre by reading/listening to Hamilton, Liu Cixin and now Stephen Moss, the Expanse is still the series i like the most- it doesn’t seem too far-fetched and is very entertaining to read/listen to. Joe Abercrombie is someone I’ve heard of quite a lot, but nothing’s been able to quite tip me over the edge towards actually buying one of his books. I do have to say that a phrase like “a magician, a noble warrior, a barbarian and a woman”, which makes “woman” sound like a full-time profession, actively makes me bristle. Oh no no no….sorry, that one’s on me, because it’s been a few years and i couldn’t remember which character the woman was- i think she was a barbarian, actually the one who was most able to survive out there. Abercrombie doesn’t do this, the female roles are good, in my opinion. In two of the follow-ups, the main protagonist is female. So i take the blame here and will edit the post accordingly as soon as i have verified the role. Will be back for the rest of your comment, but wanted to make that clear as soon as possible. Back, i’ll clarify: she’s “a warrior woman from the south who has seen war, death, and an existential threat to all mankind but knows only hate”. Also, another thing of note: Abercrombie’s series aren’t comedy, they’re just funny from time to time, similar to some of the Coen movies. You really should give him a try. “His ego was so powerful it shone from him like a strange light, distorting the personalities of everyone around him at least halfway into being bastards themselves” … “…the most commited bastards might be expected to make a pilgrimage to [him]. Bastards swarmed to him like ants to half-eaten pastry.”… “He had bastards streaming after him like the trail after a comet”. These are actually parts of a three-paragraph long description of this trait who many of us have probably seen some time in our lives. It’s long, it’s true and it’s even funnier when you know who this is about, the character and the future he’s facing. Reading about his bastardry in three paragraphs made me laugh very hard the other night.